More than 100 Ugandans, including top military officers are expected to be rewarded for their contribution in the liberation struggle, that brought President Museveni to power in 1986 during today’s Tarehe Sita Day celebrations in Butaleja District, eastern Uganda. According to the list released by UPDF, among those to be awarded include Brig. 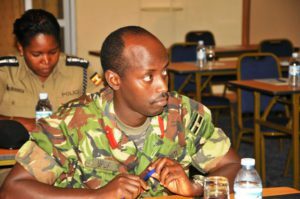 Kayanja Muhanga, the immediate former commander of the UPDF contingent in Somalia. Brig. Leopold Kyanda, the Chief of Staff of the Land Forces in the UPDF, Brig. Richard Karemire the UPDF spokesperson and Brig. Sabiiti Magyenyi, the Commander Military Police, will also be awarded. Tarehe Sita is marked on 6th February every year to mark the National Resistance Army’s first attack on Kabamba barracks in Mubende on 6th February 1981 which resulted into a five year bush war that led the NRM in power in 1986. Under the leadership of Yoweri Museveni, now President, the NRA guerilla war ended with the capture of power on January 26, 1986. This year’s celebrations have come at a time when Uganda is hosting the military contingents from five East African countries, comprised of medics and engineers. The Tarehe Sita will be combined with the East African Community (EAC) armed forces week. Uganda is the first in the region to host the armed forces week. 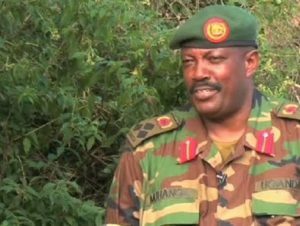 The military officials started to arrive in the country last week, to be part of the civil military activities preceding Tarehe Sita and the regional armed forces week. South Sudan, Tanzania, Kenya, Rwanda and Burundi, each sent 15-30 officers. Some of the officers last week provided medical services and repairing broken facilities at health (facilities) in Bukedi sub-region. The UPDF explained that the Force decided to carry out Tarehe Sita and regional armed forces week-long civil military activities to respond to some of the challenges facing the sub-region, including poor health services and facilities. The EAC secretariat, a few years ago, resolved that the region’s armed forces hold the week-long civil military activities annually in different countries in the region on a rotational basis. This year’s Tarehe Sita and the EAC armed forces week will be celebrated in Butaleja District under the theme, reaffirming the contribution of the armed forces towards regional integration for our strategic security, development and prosperity.